Lauren Alaina's new single, "Ladies in the '90s," celebrates a time when females were plentiful on country radio. Even though she was a teen at the time, LeAnn Rimes was one of those voices sending songs up the chart. Rimes opened up to ABC News about the stunning lack of female voices today. "There was something about the nineties that was just undeniable," she recalled. "Women were cutting just hit after hit after hit. It just worked. It really did." "The nineties were a very, very special moment for women in music," she added, "and I'm so grateful to have been a part of that time." 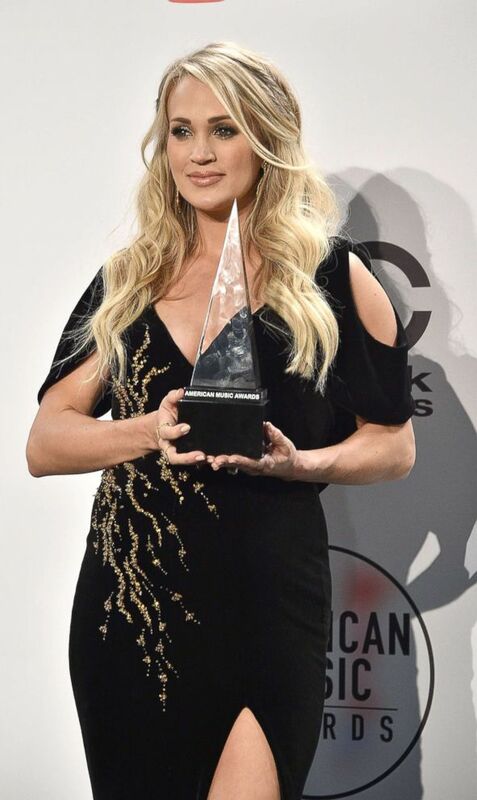 Carrie Underwood attends the 2018 American Music Awards a Microsoft Theater, Oct. 9, 2018, in Los Angeles. Still, this week only one female solo artist -- Maren Morris -- has a song in the top thirty. Rimes rejects the argument that female listeners only want to hear men. "I know that a lot of what's being said is 'Oh women don't want to hear women.' I mean, that is total B.S. in my opinion," she said. The "Blue" icon admits there can sometimes be competition between female singers and adds that she thinks men like it that way. But she goes on to say that's changing -- at least for the women. "We're realizing that we need to lift each other up, and we are sisters, and that sisterhood is so important." she asserted. "I really see women ... really wanting to hear and celebrate their own kind, their own gender and their own ... soul sisters. And it's time for us to come back again." This weekend Rimes is back in "It's Christmas Eve," her first Christmas movie since 1997's "Holiday in Your Heart." "It's Christmas Eve" also includes three new yuletide songs she wrote for the film. You can tune in for its premiere Saturday at 8 p.m. ET on Hallmark Channel. Rimes is the latest country star to speak out about the lack of women on the charts. Carrie Underwood recently said in an interview that "when I was growing up, I wished there was more women on the radio." Underwood explained that it's hard when little girls don't see enough women at the top of the genre. "Think about all of the little girls that are sitting at home, thinking, 'I want to be a country music singer,'" Underwood told the "Women Want to Hear Women" show. "What do you tell them? How do you look at them and say, 'Sweetie, just work hard and you can do it!'"